Business ISDN2 lines are a digital telephone service which will provide your business with the complete voice and data solution. ISDN2 lines are usually connected to your business telephone system, coming in pairs of lines, with a 2-8 user capacity. This type of digital service allows the user to make a combination of calls, connect to the internet and receive fax messages. As the connection type is digital, it means that the quality of the call is much clearer as well as allowing the user to send and receive large data files more securely. ISDN30 business telephone lines are much the same as ISDN2 lines, however allow a capacity of 8-30 users. ISDN30 is ideal for larger business generally with more than 10 employees. 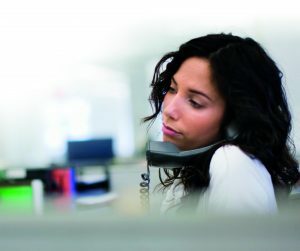 An ISDN30 solution can be adopted to link two or more office locations as well as provide employees with individual direct dial numbers (DDI).